The Clooneys at the royal wedding? 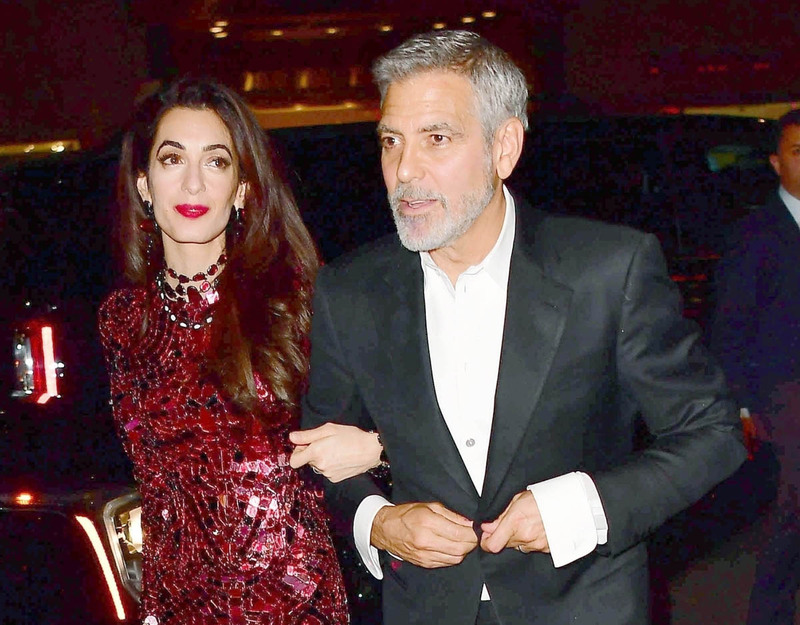 Amal and George Clooney have apparently been invited to Prince Harry and Meghan Markle’s wedding – according to Amal’s hair stylist, Miguel Perez. Miguel told HOLA! that while he could not confirm whether or not he’s doing Meghan’s hair, “What I can confirm is that I will be in charge of Amal’s hair that day”. There has been no confirmation from Clooney representatives but if the hair person is booked, that’s probably a good indication? Is that the connection then? Between Meghan and Harry and Amal and George? I don’t remember Harry and George socialising. That said, given that the Clooneys spend so much time in England now, and that their estate is not far from Windsor at all, maybe they’ve been hanging out undercover…after an initial introduction over hair. After all, your relationship with your hair stylist is a privileged one. The glam squad always knows everything. If the Clooneys will indeed be at the wedding then… will they hang out with the Beckhams? George and the Beckhams spent some time together at the Met Gala ten years ago, in 2008, linked through Giorgio Armani. Victoria’s somewhat of a friend collector herself though. I’m looking forward to the stories that will come out afterwards about whether or not Amal becomes part of her circle. Also… what will Amal wear? Specifically, what will Amal be wearing – on her head!? Saturday is going to be a fascinator parade. You may not have loved Princess Beatrice’s fascinator at Will and Kate’s wedding but you can’t be sorry that she wore it. Duana certainly wasn’t. This is what you want! You want someone showing up in a bonkers headpiece! Who, then, will be the one to step up? The thing is, looking back, Beatrice may have been the only one in a position to do it. She’s a royal herself. She’s close to the Queen. Had it been a non-royal, the criticism would have been even worse. But did Beatrice open the door for a fascinator successor? Did her 2011 fascinator open the door for a new fascinator usurper? And if you’re Beatrice, do you try to, um, top yourself at Harry and Meghan’s wedding? Here are George and Amal at a Met Gala after-party in New York last week.